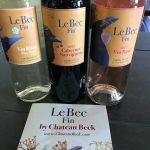 Le Bec Fin by Chateau Beck - Write for Wine: It's Wine O'Clock Somewhere!Write for Wine: It's Wine O'Clock Somewhere! Jean Claude’s love for wine is evident in every conversation we have with him. (And you can see his creativity by his July 4th Facebook photo, above.) So we eagerly awaited the arrival of his three Le Bec Fin wines to sample: 2016 Vin Rosé, Vin Blanc and 2015 Cabernet Sauvignon. They were all lovely. This beautiful, elegant rosé was crafted in the classic Provence style — pale, dry, light-bodied and delicate. Showing a light salmon color in the glass, this rosé consists of Syrah (79%) co-fermented with Viognier (21%), and features red berry, bitter cherry, zesty orange and citrus flavors, balanced by minerality. Jean Claude describes this wine as “vivacious, floral and harmonious” and suggests pairing it with Asian food or assorted types of salads. We found it also pairs well with our lakeside deck in these warm summer evenings. A pretty blend of Muscat Ottonel (50%), Riesling (32%) and Pinot Gris (18%), this Vin Blanc brought home the double gold from the Seattle Wine Awards. The nose is perfumed, leading into a juicy, fruity finish. The Muscat is very evident, and not a favorite for our palates, but we have friends who will absolutely love it. Jean Claude describes this wine as “bright, aromatic and flattering.” He suggests enjoying it as an aperitif or pairing it with halibut, salmon with a dill lemon sauce, lobster, crab cake, multiple cheeses (comte, fourme d’Ambert), assorted poultry dishes, or meals seasoned with Indian or Asian spices. This is a full-bodied Cabernet Sauvignon (78%) blended with a velvety touch of Merlot (22%). 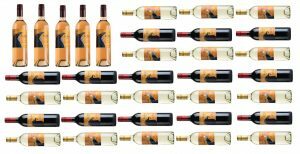 Even white wine drinkers have said they became fans of this balanced, smooth red wine. We recommend decanting it for several hours to reveal aromatics of blackberries and cassis, followed by flavors of black fruit, cedar, earth and barrel spices, with some mineral notes. (It opened up even more on the second day.) Jean Claude describes this wine as “minerality, finesse and elegance.” He suggests drinking it on its own, or pairing it with gourmet burgers, filet mignon, black truffles, various cheeses (camembert, brie, St Nectaire), chocolate, chocolate truffles and crème brûlée. 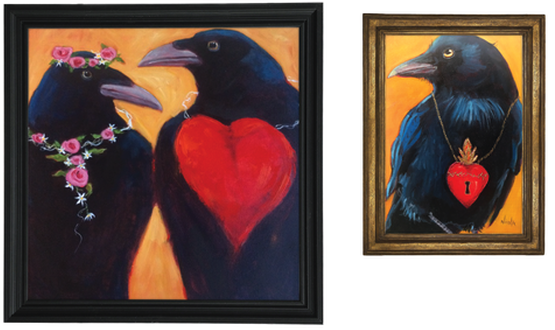 And in case you were wondering, the Le Bec Fin labels were created by Seattle artist Nicola Tager, whose work inspired Jean Claude to use the crow as a symbol of his brand. Five paintings were created just for Le Bec Fin. So try something new to sip on these beautiful summer evenings — Le Bec Fin, lakeside, at the beach, poolside, on the deck, the patio or at your next barbecue. This entry was posted in Cabernet Sauvignon, France, Merlot, Pinot Gris, Riesling, Syrah, Viognier, Washington, Wine, Woodinville, Yakima Valley and tagged Cabernet Sauvignon, Chateau Beck, Le Bec Fin, Merlot, Muscat Ottonel, Pinot Gris, Riesling, Syrah, The Woodhouse Wine Estates, Viognier, Washington wine, Washington wineries, wine, wineries, Woodinville by Margot. Bookmark the permalink.